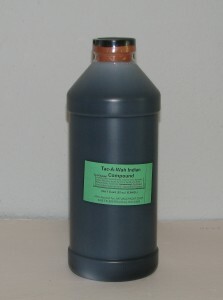 Tac-A-Wah Indian Tonic supports liver function, promotes parasite elimination. Potent, effective. Contains the following concentrated extracts in a balanced formula. Wahoo Rt Bark: Valued in dropsy and liver disorders, influencing and assisting the pancreas and spleen. Burdock Root: One of the best alternatives and blood purifying agents in nature. Influences the skin, soothes the kidneys, and relieves congestion of the lymphatic system. Mandrake Root: One of the most powerful hepatics and intestinal tonics in the Herbal Kingdom. A powerful and effective vermicide. Blood Root: Stimulating tonic to the digestive and respiratory organs. Black Walnut: A very fine tonic for the spine, liver and intestinal tract. Very useful in chronic and acute skin conditions. Parasitic and vermifuge. Poke Root: Help greatly in detoxifying the system from poisonous congestions stimulates metabolism. Excites the whole glandular system. Goldenseal Root: A fine tonic and blood purifier, toning to all mucous membranes. Lobelia: One of the most valuable herbs in Botanic practice. Tends to remove obstructions from every part of the system. Useful in all inflammations and congestion’s. Licorice (root), Agrimony (aerial part). Disclaimer: These statements have not been evaluated by the FDA. This product is not intended to treat, cure or prevent any disease.